Prestige Cars of Wokingham provides a TAXI CAB/PRIVATE HIRE/PRIVATE HIRE (delete as appropriate) facility through the Prestige Cars of Wokingham website/s and mobile phone applications (“the service”). Upon calling registering with Prestige Cars of Wokingham on our website/s or through a mobile phone application a user may book an Prestige Cars of Wokingham taxi (“member”) using location based technology on the website/s or mobile phone, Prestige Cars of Wokingham will use the location services of your network operator to help identify your approximate location, Prestige Cars of Wokingham will ask you to confirm that the pickup location that has been identified is correct and it is the responsibility of the user to amend that address/location if it isn’t correct. The service is being provided to you under these terms and conditions and any operating rules, policies, and procedures as currently published on this website and/or informed to users by Prestige Cars of Wokingham and/or its members (including without limitation in respect of the cost, data protection policy and cancellation of the service). No materials from Prestige Cars of Wokingham and/or associated websites may be copied, downloaded, reproduced, broadcast, shown or played in public, republished, uploaded, posted, stored, transmitted or distributed in any way or adapted or changed in any way. Prestige Cars of Wokingham takes active measures to ensure that no unauthorised use or breach of its intellectual property rights is committed. Prestige Cars of Wokingham does not guarantee that the service will be uninterrupted, timely, secure, or error free. Use of the services provided by Prestige Cars of Wokingham is done so entirely at one’s own risk and discretion. Prestige Cars of Wokingham assumes no responsibility or liability for any services provided. Prestige Cars of Wokingham does not guarantee the availability of a taxi at any time, nor the availability of the service. Prestige Cars of Wokingham makes no guarantee for and does not vouch for those persons/companies whose goods or services are referred to or displayed by Prestige Cars of Wokingham and/or associated websites. Prestige Cars of Wokingham makes no guarantee as to the accuracy, content, timeliness, completeness, legality, reliability, quality or suitability of any information, advice, content, service, search results, products or merchandise provided through Prestige Cars of Wokingham and/or associated websites. Prestige Cars of Wokingham makes no guarantees, and will not be held liable for, any information, advice, products, services, adverts or links of third parties. Users are advised to satisfy themselves as to the exact type and nature of goods or services being offered or qualifications held by those persons, companies and other organisations whose goods or services may be displayed or referred to by Prestige Cars of Wokingham and/or associated websites. 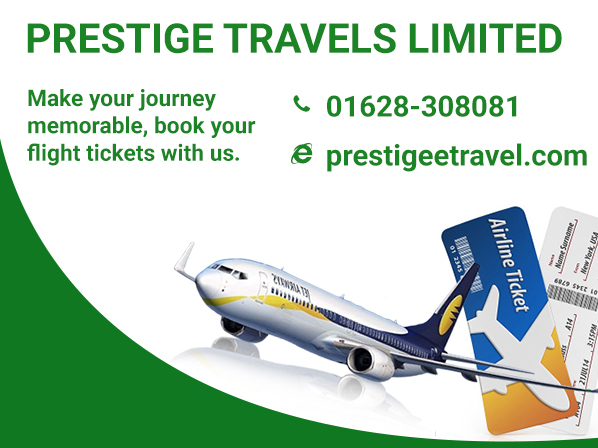 By sending us or requesting a taxi booking request through Prestige Cars of Wokingham mobile phone portals or applications (or any other mobile technology) you are deemed to have accepted the terms and conditions herein. Any information received is provided on an “as is” basis. Use of such information is done at one’s own risk. Prestige Cars of Wokingham is not associated with or endorsing any particular person/company that may be featured. You recognise that mobile services may, from time to time, be adversely affected by events outside our control and that Prestige Cars of Wokingham will not be held liable for any error in, or delay in, or failure in transmission of the services. Mobile services are subject to the limitations of the enabling technology on which they are reliant and may be adversely affected by network performance and other operational factors beyond our control, including without limitation, congestion, network coverage, dropped connections, the performance of your mobile phone and the maintenance of secure network connections. Prestige Cars of Wokingham accepts no responsibility if you do not receive your booking confirmation or services for any of these reasons. Furthermore, Prestige Cars of Wokingham will not be liable to you in any way for failures, defects or delays in the delivery of aforementioned booking confirmation or services which are caused by one or more of the following reasons: provision of an incorrect phone number before submitting the request, your mobile phone does not support such services, message inbox is full, mobile phone is out of range or un-contactable for some other reason, or you erase the information sent to you. Prestige Cars of Wokingham may change these terms and conditions from time to time. Notice of any changes to these terms and conditions will be made available on our website. Any changes become effective immediately after they are made available on our website and/or informed to users by Prestige Cars of Wokingham and/or its members. Any use of the service occurring after such date is subject to the amendments. Your continued use of the service after such date constitutes your acknowledgement of the terms and conditions, their modifications and your agreement to abide by and be bound by the agreement, as amended. You agree that by booking a taxi or private hire vehicle through Prestige Cars of Wokingham that you have made a verbal contract with the driver. You agree to meet the driver at the appointed location, make the journey as booked and pay the full and correct fare. Prestige Cars of Wokingham reserves the right to bar users that inappropriately use the service. You acknowledge that your use of Prestige Cars of Wokingham and/or associated websites & applications, constitutes an agreement between you and the member and bears no responsibility or liability to Prestige Cars of Wokingham. Prestige Cars of Wokingham does not accept liability for any damages, including, without limitation, indirect or consequential damages, loss of profits, use of data or any damages whatsoever arising out of, or in connection with the use or inability to use the service and/or associated websites (including information, advice, products, services, adverts or links of third parties). Prestige Cars of Wokingham makes no representations or warranties of any kind whatsoever that the server behind this website is free of viruses or other components that may infect, harm, or cause damage to your computer equipment or any other property when you access, browse, download from, or otherwise use the site. You acknowledge that standard terms and conditions apply between you and the taxi driver and/or as set out by that company/driver. Prestige Cars of Wokingham is unable to ensure or guarantee the security of any information transmitted over the Internet. Any information or data which you transmit to or by using Prestige Cars of Wokingham and/or associated websites is done at your own risk and Prestige Cars of Wokingham shall not be responsible or liable for any damages or injury that may result from transmitting such information. These terms and conditions shall be governed by and construed in accordance with the laws of United Kingdom and shall be subject to the exclusive jurisdiction of the United Kingdom courts. These terms and conditions, as modified from time to time and/or including information given to users by Prestige Cars of Wokingham and/or its members, constitute the entire agreement between Prestige Cars of Wokingham and you with respect to the subject matter hereof. If any provision contained in these conditions is determined by a court of competent jurisdiction to be illegal, invalid or otherwise unenforceable, that provision shall be severed from these conditions and the remaining provisions shall continue in full force and effect. You agree that Prestige Cars of Wokingham has the right to assign or sub-contract any or all of its obligations under these terms and conditions. These terms & conditions only apply to the user when they submit correct and truthful details as requested on the Prestige Cars of Wokingham website/s and/or through any mobile phone devices whereby the user is then permitted to use the service and software of Prestige Cars of Wokingham. Prestige Cars of Wokingham offers the user a service and the software required to provide that service. Prestige Cars of Wokingham will supply details provided to enablePrestige Cars of Wokingham taxi drivers to receive a booking and to communicate with you on that basis. This information will contain the users pick up location and associated data (user name, mobile phone number) and the user in turn will also receive relevant data about the taxi & driver that will pick them up. The appointment of a taxi through Prestige Cars of Wokingham is free and incurs no additional charge to the user above regulatory charges (including pick up charges) and fares. Any charges incurred through use of the Prestige Cars of Wokingham applications (such as, but not exclusively, network charges) or website are the users sole responsibility. By ordering a taxi through Prestige Cars of Wokingham (mobile applications or website or any other method) the user agrees to use the service and to pay all relevant fares. The settlement of which will be bound by the terms & conditions of use between the taxi and the user. The user is not entitled to a permanent and uninterrupted availability of the Prestige Cars of Wokingham service. Prestige Cars of Wokingham undertakes to achieve maximum levels of service and availability in the case of an interruption to service to resolve it as quickly as possible. The user agrees not to attempt to circumvent, access and/or amend the Prestige Cars of Wokingham services or software in any way. The users account is private and the user agrees to keep their username and password safe and not to disclose to any third parties. If this information is lost or in any way disclosed then the user has an obligation to inform Prestige Cars of Wokingham immediately. When you register with Prestige Cars of Wokingham on our website, mobile application or any other way we need to know your name, e-mail address and e-mail address (insert any other details that are requested). We gather this information to allow us to process your registration, process any bookings you may make and process queries. The relevant information is then used by us, our agents and sub-contractors to communicate with you on any matter relating to the conduct of your account and providing you with various services. We may also use aggregate information and statistics for the purposes of monitoring website usage in order to help us develop the website and our services and may provide such aggregate information to third parties. These statistics will not include information that can be used to identify any individual. From time to time we may provide your information to our customer service agencies for research and analysis purposes so that we can monitor and improve the services we provide. We or our agents and sub-contractors may contact you by e-mail or telephone (or as required) to ask you for your feedback and comments on our services. We may also wish to provide you with information about special features of our website or applications or any other service or products we think may be of interest to you. If you would rather not receive this information, please send a blank e-mail message to reservation@presigeofwokingham.co.uk. We may also want to provide you with related information from third parties we think may be of interest to you. If you would rather not receive this information, please send an e-mail to reservation@presigeofwokingham.co.uk.. We may also provide your information to carefully selected third parties whose products or services we believe may be of interest to you. If you do not wish us to disclose your information in this way, please send an e-mail to reservation@presigeofwokingham.co.uk.. The Prestige Cars of Wokingham website uses “cookies” to allow a user web browser (software used to read web pages) to recall those pages of this website which have already been visited by the user. Cookies are small pieces of information, placed on your computer by a website for tracking purposes. The internet is not a secure medium. We have taken all reasonable precautions to prevent disclosure otherwise than as set out in this Privacy Statement, our Terms and Conditions or as set out elsewhere on this website of any of your personal information which you reveal to us on this website. However, due to the nature of the Internet we cannot guarantee the security of the information you send to us via the Internet as the sending of any information over the Internet can never be absolutely secure. We also keep your information confidential. Our internal procedures of Prestige Cars of Wokingham cover the storage, access and disclosure of your information. If any of the information that you have provided to us changes, for example if you change your e-mail address, name or if you wish to cancel your registration, please let us know the correct details by sending an e-mail to reservation@presigeofwokingham.co.uk. and the personal data collected through our website and mobile applications. However, we are not responsible for the content or privacy practices of other websites, including linked websites, websites made available through this website and websites to which we may direct you.